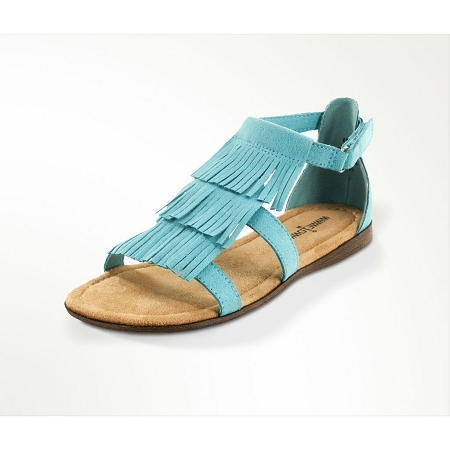 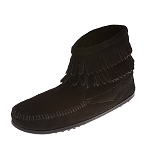 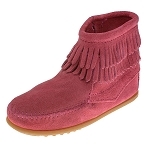 Minnetonka Moccasins 78002 - Turquoise suede leather sandal with three layers of decorative fringe down the vamp. 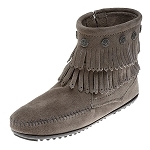 Buckle closure at the ankle for a custom fit. 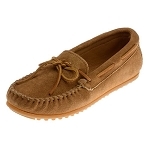 Comfortable, padded footbed and lightweight rubber sole for flexibility and durability.